Protostar is the headliner in YoYoFactory's "Death to Metal" series and John Ando's signaure model, featuring a high-quality plastic body with a metal ring on the outer rim. 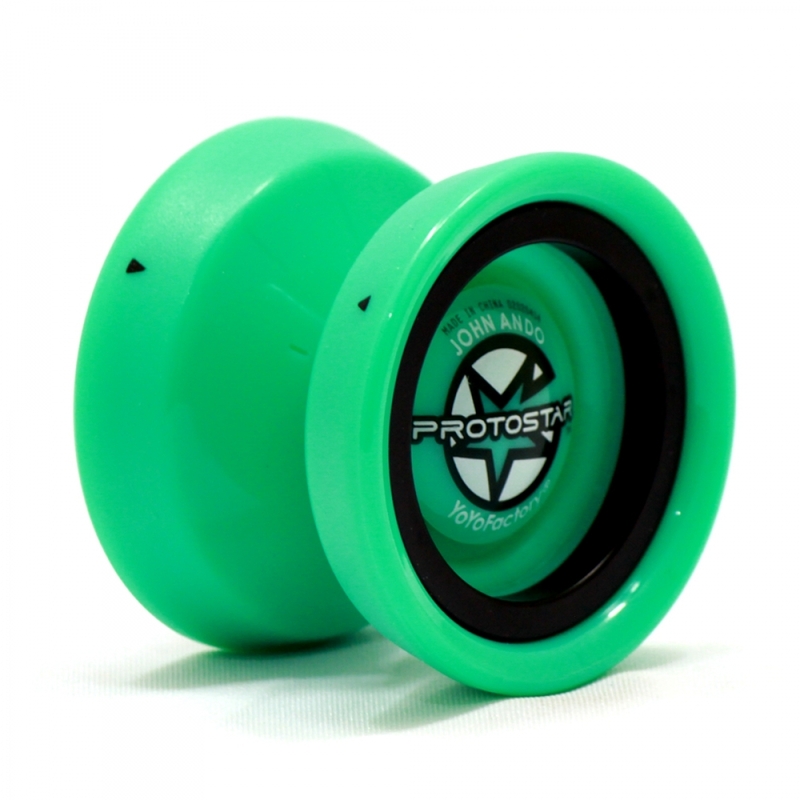 The "Death to Metal" series is YoYoFactory's response to the common belief that full metal yo-yos are superior; featuring high-quality plastic yo-yos that match or even surpass full metal yo-yos. The Protostar is on the forefront of this battle, and proves to be a strong contender. Its first prototypes went on sale at the 2009 World Contest, and made a lasting impression on everyone there. It has a very low edge, keeping sleep loss at a minimum, and its heavy rim inset into the outer ring and Center-Trac bearing give it even greater stability than its full metal competitors. The amount of thought put into its design far exceeds its price range, but that's the whole concept of "Death to Metal." The yo-yo comes loaded with thin-model response pads which will wear out relatively quickly, so we recommended getting some replacement pads with your yo-yo. During assembly, the yo-yo is screwed together very tightly, and it will be difficult to open the first time; There are small arrows on the side of the yo-yo to indicate how far you should screw the sides to avoid imbalance, but don't force it too much or you might damage the yo-yo or the threading.